June 24 marked the ninth annual Armed Forces Day, a day dedicated to honouring the exceptional work and dedication of the Armed Forces community: from currently-serving troops to Service families, veterans and cadets. 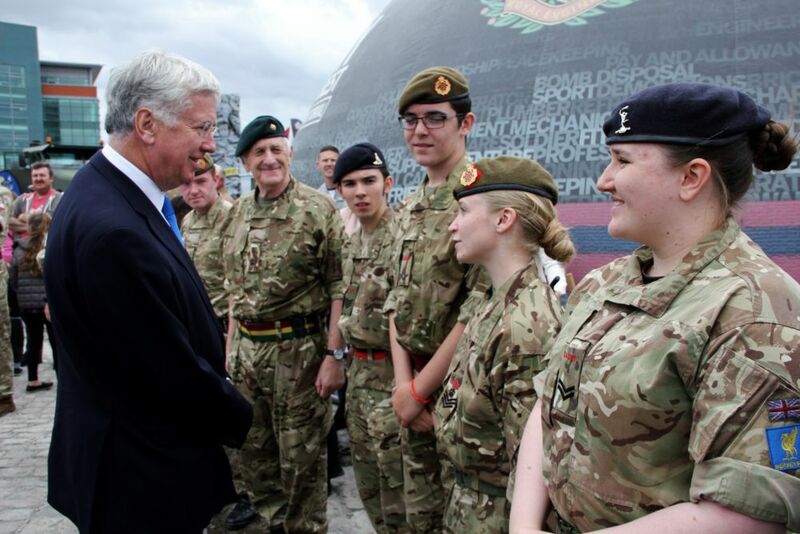 Liverpool hosted the Armed Forces Day national event, attended by HRH Prince Edward, Earl of Wessex, as well as Prime Minister Theresa May, and Secretary of State for Defence Sir Michael Fallon. The event included a gun salute, parade and a visit from Royal Navy ship HMS Iron Duke and flypasts by the Red Arrows and an RAF Typhoon. 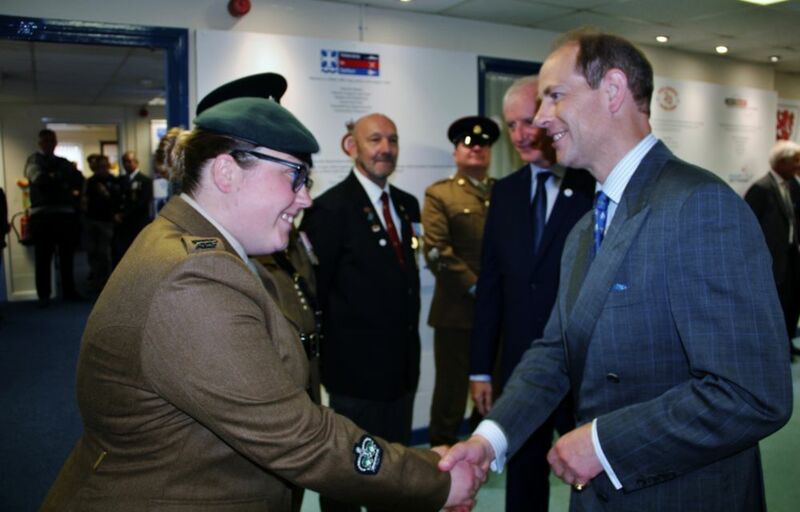 Following the Liverpool Armed Forces Parade on Saturday, Prince Edward visited the Merseyside Army Cadet Force detachment before going on to the historic Brunswick Centre at Bootle. Throughout Armed Forces Week, Army Cadets from around the UK proudly participated in events honouring Britain’s military past and present. In Buckinghamshire, Cadets took part in the starting parade, and then 12 cadets participated in a Tri-Service Rugby Competition which resulted in a draw. Cadets from Lancashire were challenged to a dance-off on Armed Forces Day by Air Cadets in Preston. In Swindon, Armed Forces Day saw participation from the Army Cadet Force Drill Team, the Army Cadet Corps of Drums and an Army Cadets Combat Display. For Redcar’s Armed Forces Day, the town’s High Street was transformed into a military parade square, where the drum corps of the Army Cadets led a parade of armed forces members, veterans and cadets. 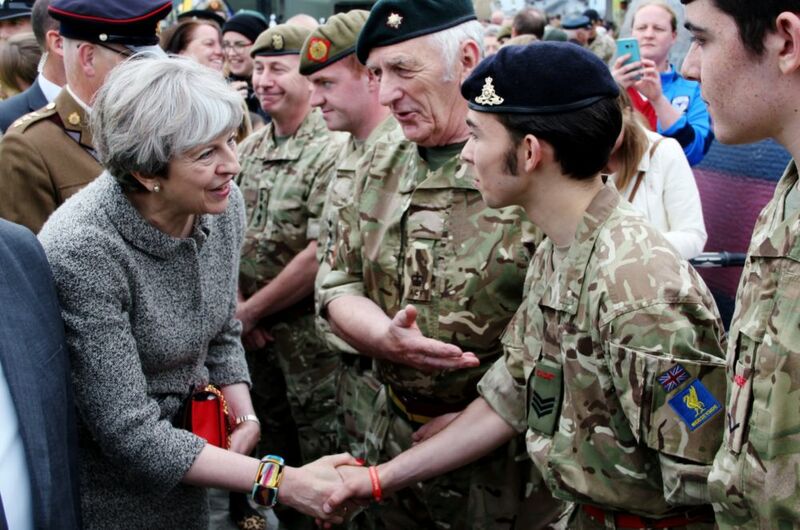 In Trowbridge, a Parade of Standards took place through the town’s centre, in which the Wiltshire Army Cadet Force proudly marched along with sea cadets, current military personnel and veterans. Earlier in the week, Wisbech Detachment attended the Armed Forces Day in Wisbech Market Place. During the day, Cadets demonstrated their First Aid skills showing members of the public how to do CPR. Sgt Gagen took the parade for the Armed Forces Day Union flag, which was raised and lowered at the end of the day when the sunset serenade was played.